With Marrakech, the trick is to stay in the medina for a few nights before heading to the Palmeraie, the city's answer to a weekend in the country. Here you’ll find majestic views of the Atlas Mountains, herb gardens, spacious rooms and decent sized swimming pools. And to make sure your every comfort is met, use our Guru’s recommendations for the best hotels in the Palmeraie to plan your trip. Jnane Tamsna is a fairytale hideaway of minimalist Moroccan splendour with a great hammam, set amid 9 acres of delicious smelling gardens. 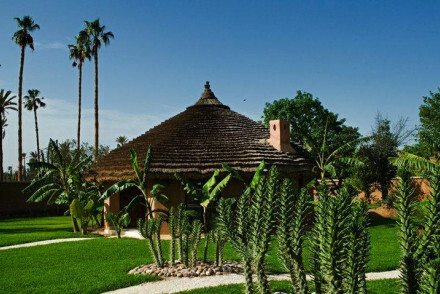 Dar Zemora is one of the Palmeraie's best kept secrets: it is small and luxurious, with just six beautiful rooms, set in three acres filled with lemon trees and roses. The food is fantastic and indulgent. Also have a look at Villa 55 which offers cooking lessons and excellent organic food. 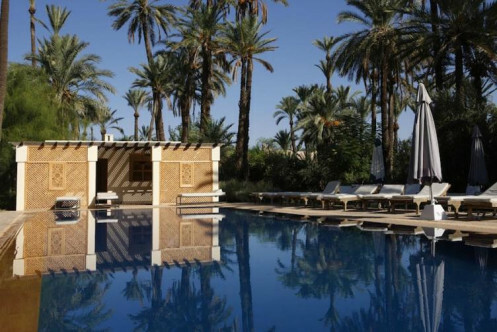 The Mosaic Palais Aziza is set amid five acres of lush gardens with fruit and palm trees planted around the pools and terraces. 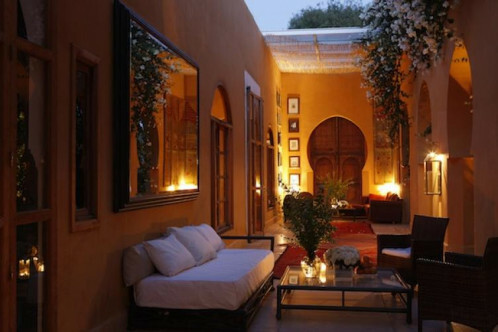 The twenty eight rooms and six suites offer contemporary comforts all wrapped up in traditional Moroccan decor. 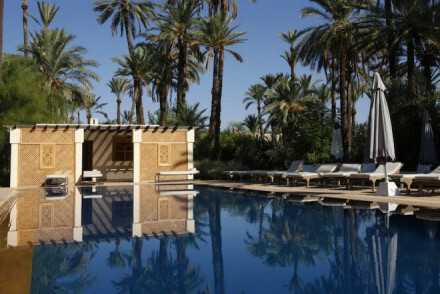 Or try the Ksar Char Bagh, a stunning Moorish palace with more gorgeous gardens, a luxury hammam, an Alain Ducasse trained head chef, a vast library, fumoir and much, much more! Dar Ayniwen is a truly luxury romantic haven. Originally built as a private home, many of the original owner’s treasures still remain. Accommodation is in eight luxury suites, four in the main house and four scattered around the beautiful gardens. Les Cinq Djellabas is a great alternative to the riads of Marrakech: an eco friendly hotel, with views of the Atlas mountains. 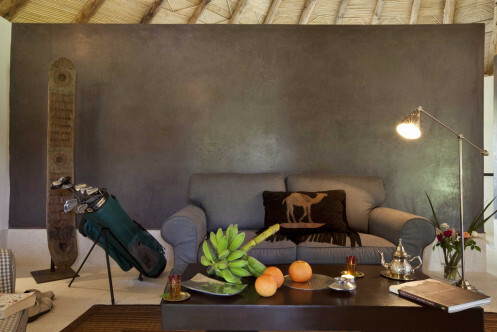 Accommodation is in ten African eco-lodges dotted around the palm, banana and olive filled gardens. Can't find the right property from our selection of hotels in the Palmeraie?